By clicking on a triangle icon next to the linked domains, you will see a short overview of a respective domain. 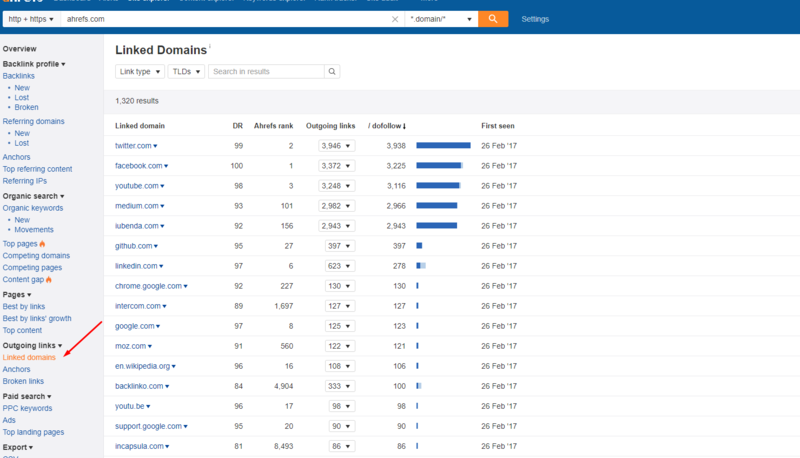 The upper part has links to the section in Site Explorer tool of that domain in case you want to get more info on it, the lower part shows you basic Link statistics, such as Domain rating, URL rating, number of backlinks etc. 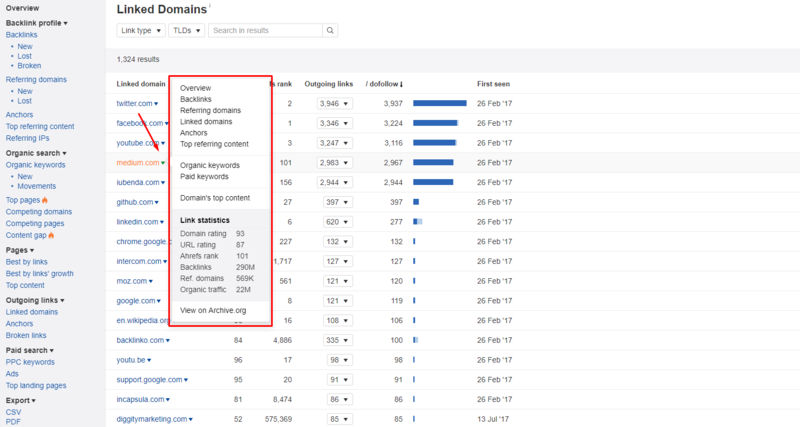 If you expand Outgoing links column, you will see the actual links from your domain that point elsewhere along with the anchor text. Again, you can click on the triangle button to toggle an overview for a specific link. The blue graph displays a ratio between nofollow and dofollow links (with the light blue colour being nofollow links). Linked domains can also be found in Batch Analysis tool. Simply open the link below the title, and you will navigate to the section shown above.